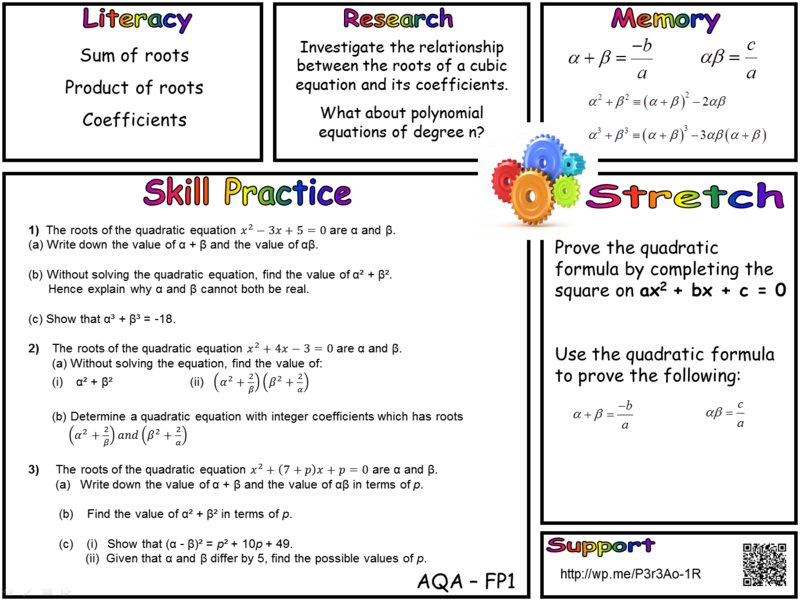 Roots of quadratic equations - MathedUp! Roots of quadratics 1 – Smart Notebook – A lesson which involves a rich starter activity (nrich 762) followed by an investigation into the link between the roots of quadratics. 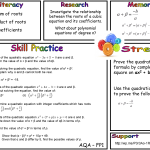 Roots of quadratics 2 – Smart Notebook – Follows up with some examples and an exam question as a plenary. Investigate roots – Excel – Experiment with different values to find a link between the sums and products. Roots of quadratics matching activity – PDF- Excellent activity produced by Susan Wall. Could be used in a revision lesson..